Yesterday, we decided to visit Quepos, a small town about a 30 minute drive away. We hadn’t visited Quepos in a couple of years and thought it would be fun to go there. Now that they have a new port, many cruise ships stop there. We didn’t see any cruise ships, but had a nice time visiting the shops and having an ice cream. 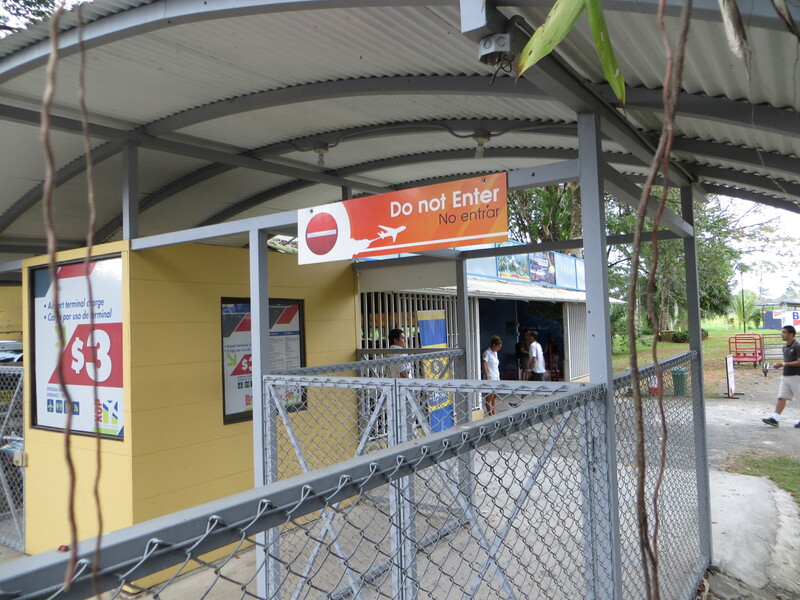 The entrance to the Quepos Airport. 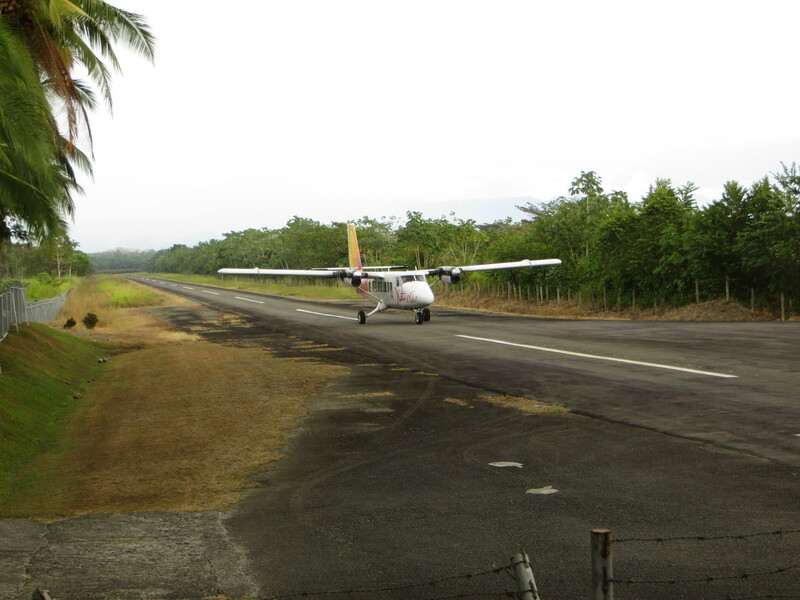 A Nature Air flight landing in Quepos. Costa Rica has two regional airlines, Sansa and Nature Air, and they both fly into Quespos on a regular schedule several times a day. 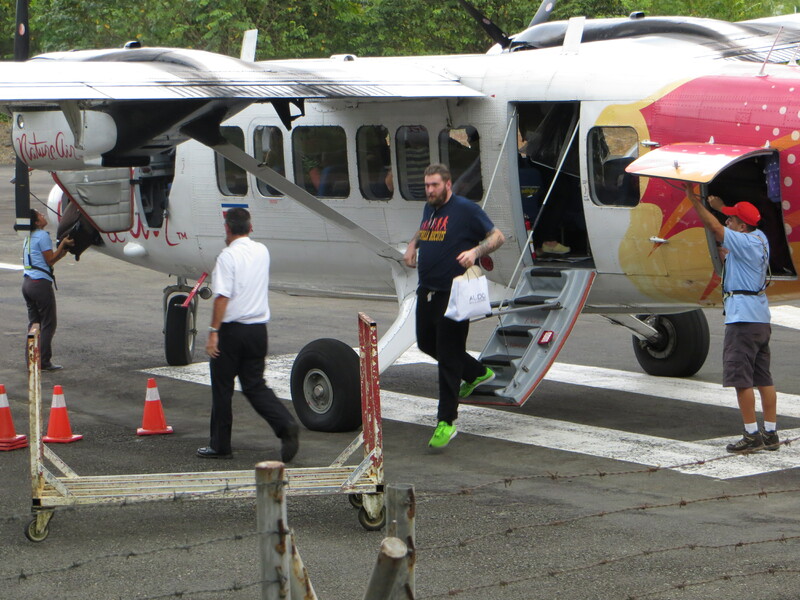 It’s only a 30 minute flight from San Jose to Quepos. Driving time is about 3 hours. 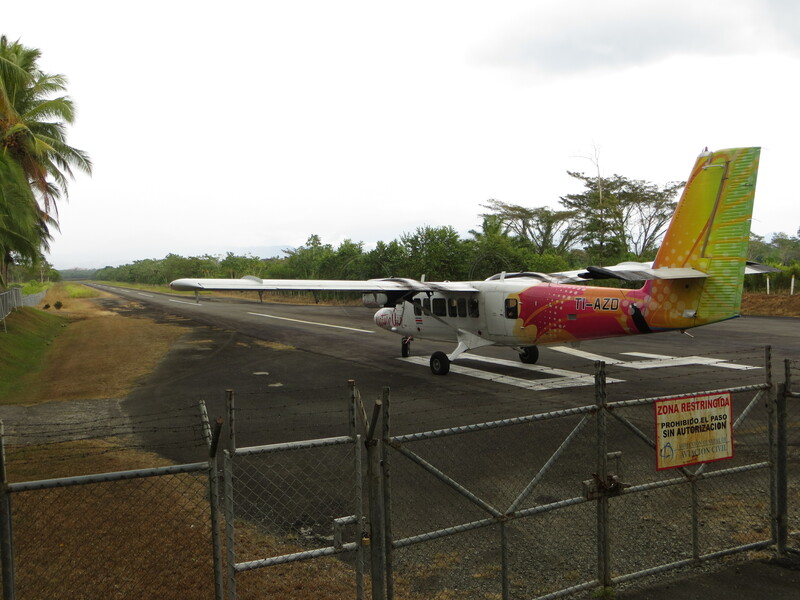 If you decide to fly from San Jose to Quepos to see us, this is the type of plane you will flying on. It’s a 12 passenger plane and not as scary as it looks! El, I love you guys but I’m really not sure about a 12-person plane! Think we may have to opt for the long drive…..
Stace, the drive doesn’t seem that long now that the road is all paved! There are some cool places to stop along the way, too. Hope you will come for a visit sometime soon! Hope it’s warming up your way! We had a great visit with Erik and I’m sad he had to leave today. Hi Eddie and Ellen. We finally got around to checking out your blog and it looks like you are enjoying beach life! Nice truck. I don’t recognize that Toyota model. Is it more like a Tacoma or a Tundra? Let us know when you need a snow fix! Eddie will pick me up I a sure of it.